I love bread and making a healthy bread is even better! 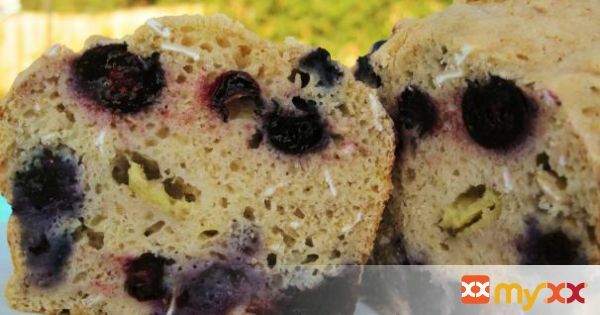 This banana bread is full of chunks of banana and blueberries so tender they pop in your mouth. This is one Banana Bread that won't disappoint and best of all, it's guilt free!! 2. Mix together dry ingredients until well combined. 3. In a separate bowl, mix eggs, applesauce, and bananas. 4. Stir banana mixture into flour mixture, and then add blueberries. 5. Stir carefully (the blueberries crush easily). 7. Bread is done when a toothpick comes out clean. Note the banana may stickto the toothpick!